Cheng Fang has been awarded the Mellon fellowship from the University of Pittsburgh. Congratulations, Cheng! Cristian has been awarded the NSF GRFP fellowship. Congratulations, Cristian! ​Prof. 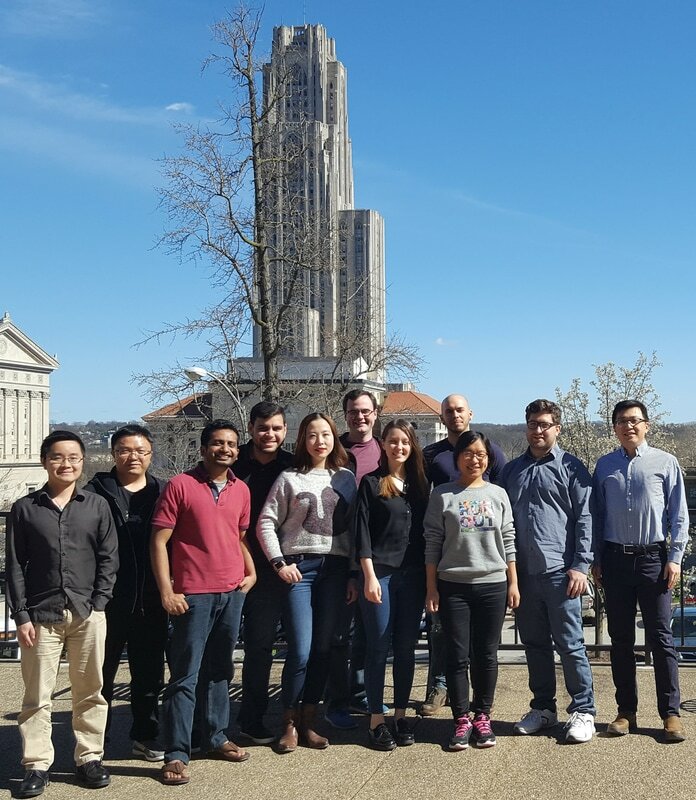 Peng Liu joined the Department of Chemistry at Pitt in September 2014. Olefin hydrofunctionalization. Check out our recent collaborative papers with the Buchwald group in Science (2015 and 2016) and our computational paper on hydroarylation in ACS Catalysis. C–C bond activation. Our collaborative papers with Guangbin Dong's group are published in Nature and JACS. C–H bond functionalization. Yang's paper on Cu-catalyzed C–H cyanation is published in ACS Catalysis. Our Pd-catalyzed C–H amination paper with the Chen group is published in Nature Chem. Metal free! Our first three papers on metal-free systems have been published in collaborations with the Matyjaszewski group on metal-free ATRP and with the Ngai and Chen groups on metal-free C–H trifluoromethoxylation and C–H alkylation. Pitt rocks! We have published three collaborative papers with our Pitt colleagues so far (w/ Cohen group in JOC and Angew. Chem; w/ Curran group in JACS). Stay tuned for more great collaborations! Olefin Metathesis. Gang's paper on ruthenium olefin metathesis catalyst initiation rates is published in JACS. Huiling's papers on switchable olefin metathesis catalysts are published in Organometallics and Chem. Eur. J.